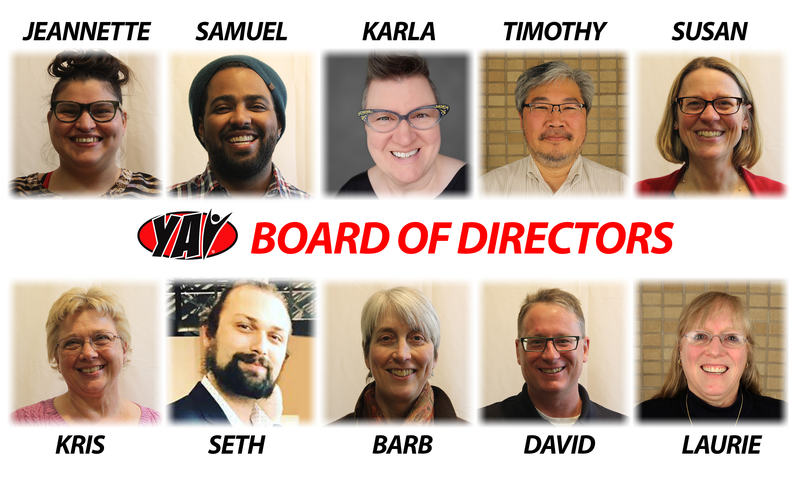 In 2017, after 15 years as an all-volunteer organization on Saint Paul’s East Side, Young Artists Initiative (YAI) announced the hiring of Matt Berdahl as the company’s first paid Artistic Director! Matthew Berdahl, Artistic Director, has been active in musical theatre, Shakespeare, National Touring Children’s Theatre, commercial work, and various other professional mediums. He has directed two YAI productions: “Mary Poppins” and “Disney’s The Little Mermaid.” He facilitates YAI’s outreach work, funded through the McNeely Foundation, visiting schools and teaching at local recreation centers, sharing the positive world of theater with youth on Saint Paul’s East Side. Berdahl is a Minnesota-born and raised theatre professional who has performed, directed, and traveled the country working with various theaters connected with many strong communities along the way. Upon receiving his Bachelor of Arts from the Minnesota State University – Moorhead, Berdahl launched his career as an actor, performing with some of the Twin Cities theater’s staple directors and theater companies with strong ties to their respective communities. Following a bit of performing in Michigan, Berdahl made his career move back to the Twin Cities to focus on performing for youth as his primary task. Being selected YAI’s new Artistic Director brings his professional journey full circle. Jeannette Ledesma, YAI Board Member, Bio Coming Soon! Samuel Williams, YAI Board Member, Bio Coming Soon! Karla Lindsey, YAI Board Member, is a customer service guru whose warm and welcoming voice has comforted thousands. She has served in the development offices of several Minnesota non-profits. She is so proud of all the YAI alumni, including her beloved daughter. Timothy Moy, YAI Board Secretary, is a senior business analyst at Delta Airlines and a proud parent of two YAI alumni. Susan McCarthy, YAI Board Vice Chair, is a physician at the VA Medical Center in Minneapolis and an assistant professor at the UMN Medical School. In a previous career, she worked as a professional stage manager at regional theaters on the East Coast and in the Midwest. She is also the proud parent of a YAI alumnus. Kristin Wolla, YAI Board Treasurer, has served as YAI’s bookkeeper from when the organization was fiscally sponsored by First Lutheran Church to the current era as a 501(c)3 nonprofit. Seth Bovis, YAI Board Member, is a Minneapolis based musician and is choir director for Highland Park Senior High School in Saint Paul where he also conducts the Thespian Society’s musicals. Seth has served as YAI’s music director since 2017 and previously Seth was music director for Bloomington Public Schools Summer Musicals while singing with the Twin Cities Fringe Opera and Saint Paul based ensemble: Hymnos. Barbara Deming, YAI Board Chair, is a senior management consultant for the State of Minnesota, and has assisted state and local agencies and multi-agency stakeholder groups with organizational assessment and planning since 1988. She is also the proud mom of two YAI alumni. David Hailer, YAI Board Member, is the Lead for the software support team for Lisec America. I have spent the last 20 years in IT specializing in Linux and Windows servers. I record music as my main hobby and I have traveled extensively. I am happily married with one fantastic 15 year old son. Laurie Mucciacciaro, YAI Board Member, is an EDI Specialist at Milestone AV Technologies, has been an active participant backstage in many YAI shows, and is the mother of two YAI alumni.